“We were told by the company that we will be given a kilo [of earth] each for burial at Selassie Church for a funeral they will organize,” said one family member who asked not to be named. The return of remains — most of which are charred and fragmented — would take up to six months, the papers said, but in the meantime earth from the crash site would be given. 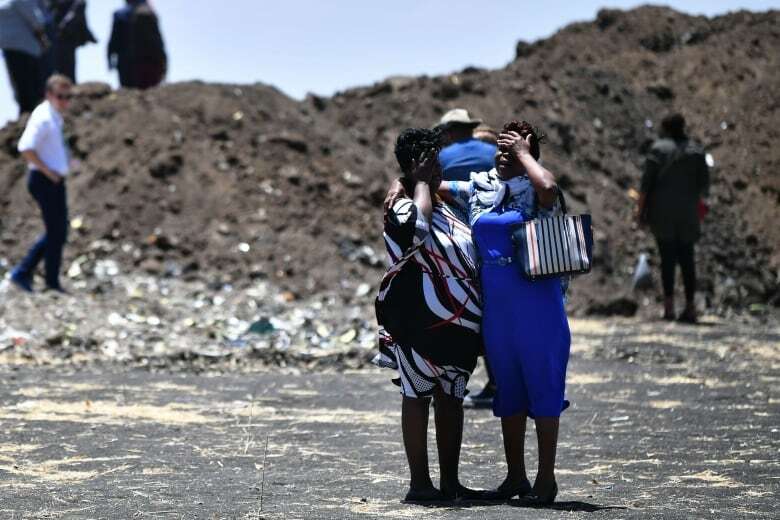 Experts say it is too soon to know what caused the crash, but aviation authorities worldwide have grounded Boeing’s 737 MAXs, as concerns over the plane caused the company’s share price to tumble by around 10 per cent. Flight data has already indicated some similarities with a crash by the same model of plane during a Lion Air flight in October. All 189 people onboard were killed. Both planes crashed within minutes of takeoff after pilots reported problems.